We know these people are exceptionally intelligent and talented. But just how intelligent are they compared to each other? Here are 13 of the most intelligent geniuses in the world, or at least as far as two Western scientific studies had afforded us. Estimating the IQ levels of people who had died centuries before a refined scientific intelligence benchmarking had been developed is tricky; but here we have two of the most often quoted studies: the 1926 Early Mental Traits of 300 Geniuses by American psychologist Catherine Cox, who computed the IQs of geniuses from the fifteenth to the nineteenth century; and the 1994 Book of Genius by English learning expert, Tony Buzan, who ranked a more encompassing 100 greatest geniuses of our world. The disparity in their lists is evident. Buzan had Da Vinci at the top with an IQ of 220, while Cox gave the artist-inventor only 180 points. Still, it’s fun averaging the two lists to see who among these geniuses trump their fellow brainiacs in sheer IQ performance. Those who didn’t appear in the top twenty of both lists are automatically out of the game, but it’s not to say they are any less than intelligent than the people in this list (we can never tell). Moreover, the list didn’t include twentieth-century geniuses such as Albert Einstein, Enrico Fermi and Stephen Hawking. Likewise, you’ll note that these are European geniuses; hence, mind masters from Asia did not appear, too. Those things aside and without further ado, here they are: the most genius of geniuses and their mind-boggling IQ levels and achievements. The English writer, poet, social critic. 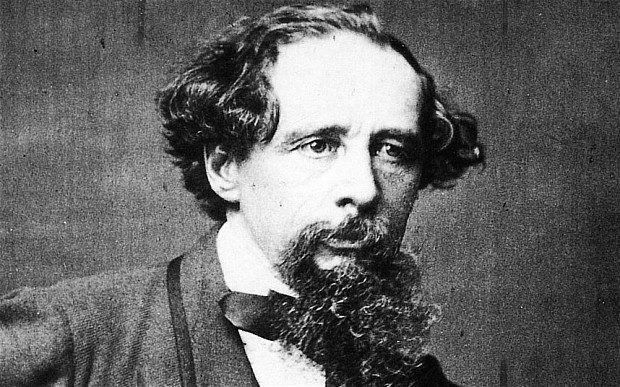 He is known for his literary masterpieces including Great Expectations, Oliver Twist, A Christmas Carol and David Copperfield. He is also regarded as the greatest novelist of the Victorian period, the time when England reigned supreme in the literary, science, trade and military world. Yet another Renaissance artist made it to our list, the Italian contemporary of Da Vinci and Michelangelo. 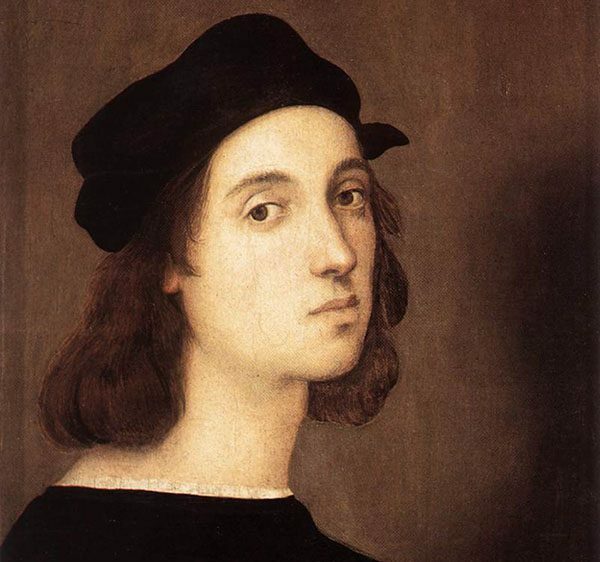 Raphael was a painter and architect, the third member of the trio great masters of the High Renaissance. His most famous works include the Mond Crucifixion, the Deposition of Christ, and the Transfiguration. The English scientist who received little formal education. His works advanced the fields of electromagnetism and electrochemistry, the precursor of the high technologies that we enjoy today. Testament to his genius, numerous scientific principles are named after him: Faraday’s law of induction; Faraday effect: Faraday cage; Faraday paradox; Faraday wheel; and Faraday wave among others. His research would make it possible for later inventions in electricity and current. A Dutch philosopher. He was among the first to lay down the foundation of the age of Enlightenment that saw science challenged the status quo of the Church. The age led to great leaps in the fields of science, politics, and economics, spearheaded by among others, Spinoza’s magnum opus, the Ethics, which challenges the authenticity of the Hebrew bible. Tied with the French philosopher is another Italian Renaissance man, the sculptor, painter, architect, poet, and engineer, Michelangelo. Famed for his masterpieces, namely David, Pieta, Sistine Chapel, The Last Judgment, and The Creation of Adam. Many experts even argued he is the greatest artist of all time, a subjective account yet not without substance considering his contributions to the High Renaissance art. A Dutch humanist, theologian, social critic. He was a strong advocate of religious tolerance during the Reformation age, when Catholics and Protestants were at each other’s throat. Using humanist techniques, he prepared a new batch of Latin and Greek editions of the New Testament, which would become influential materials during this tumultuous time. Although critical of the Church, Erasmus maintained his Catholic faith, believing the Catholic hierarchy could be reformed internally without the need to create an offshoot faith. The French philosopher, mathematician, and writer. He is called the Father of Modern Philosophy because of his writings. Notably, the Meditations on First Philosophy is still a standard reference in universities around the world. He is also renowned for his mathematical contributions, specifically the Cartesian coordinate system and for bridging algebra and geometry that made the development of calculus possible. The Italian physicist, astronomer, mathematician, philosopher. He is best known for giving us the telescope. But that’s just a mere speck in his wide-reaching scientific achievements, namely the discovery of planetary objects such as Callisto, Galilean moons, Europa, Ganymede, and Io. He was also responsible for confirming through actual observation the heliocentrism nature of the solar system—the sun is at the center and the planets revolve around it—putting him at the crosshair of the Inquisition during his time. An English philosopher and political economist. He is best known for his influential contributions to liberalism, the idea of individual freedom in contrast to unfettered state control in handling the economy. The Mill’s method is also widely used today to arrive at a conclusion via induction, a tool that lawyers and scientists have used in advancing their arguments. Read more: Obamacare Health Insurance: How Does It Work? The German philosopher and mathematician. He is regarded to have contributed to the development of calculus independent from Newton, notably his works, Law of Continuity and Transcendental Law of Homogeneity. He was also a prolific inventor in the field of mechanical calculators, making it possible for non-genius like us to calculate complex mathematical problems with the aid of this device. The English physicist and mathematician. He is regarded to have developed much of calculus, the building blocks of today’s engineering feats. His Mathematical Principles of Natural Philosophy is one of the most influential scientific works, heralding the age of enlightenment when Europe burst into an era of advancements that gave birth to modern technologies. The Italian Renaissance man. His genius spanned across science and art. Best known for his Mona Lisa, Da Vinci was actually more than an exceptionally talented painter. He was a mathematician, engineer, inventor, sculptor, architect, geologist, cartographer, botanist, and writer. He was the epitome of the Renaissance man, bringing to the world his wealth of knowledge to advance mankind’s fate. The German poet, novelist, playwright, politician, and diplomat. He’s best known for his literary works, such as, The Sorrows of Young Werther, Sturm und Drang, and Faust. Although he’s best regarded as a literary genius, Goethe was also involved in scientific studies, particularly in the field of natural science. He had a wide collection of minerals as part of his extensive studies in geology. Top Money Problems of American Seniors: How Retirees Deal With Debt? What about albert einstein. Though his IQ is not upto 200 but he is regarded as a genius and one of the most intelligent people. When you talk of intelligency you talk of him. Einstein’s IQ was only a few points above the borderline for genius, 152. His IQ was only 160, so he is not one of the most intellegent. IQ has a threshold. Once a person has met a certain requirement of IQ, other factors become more important in determining their success and overall impact on the world. That is why Einstein had an IQ of 160 and was the most brilliant mind ever, while Christopher Langan has an IQ of 195, and has experienced no such success, rather failure after failure. Genius is NOT intelligence. Genius is creative ability of the highest possible kind. True most Geniuses are highly intelligent –but this depends on the field their Genius was recognized in. And here there is a plethora of problems. Recognized by whom; which people, what Society, when and where. There is an old joke that goes something like I will believe in Psychologists devising tests from Geniuses when Monkeys devise tests for Psychologists. Yes it is off the mark and makes you wonder. Between species there is another problem and it is not the same thing as WITHIN a species !. It is said [I think correctly] that Apes have been taught to answer in sign language but none so far has ever ASKED A QUESTION using such sign language. Puts one in mind of the problem of A.I. in the Computer Field. No answer exists for this and it seems to me there is a comparison here: Human intelligence does not reach the point where it can solve such a problem. I hope I’m wrong, but I doubt this ?. I do have ideas of my own on this, but so far no one seems interested in this. I was listed in the Guinness Book of World Records 7 editions 1982-88 under Highest I.Q. and was given a Certificate for this. I was also listed in 500 Great Minds of the Early 21 st Century in 2002. All such lists-comparisons are temporary. There appears less and less match between persons and outcomes these days. Humanity hangs by it’s intellectual neck on the tree of tragedy –there are no Leonardo’s in the 19 th, 20th, and so far in the 21 st Century. Yet he/she must still exist we should think ?. With mass education has come the noisy ones but no Geniuses to show for it all. Bad money has driven out good money, bad people good people. The masses have come to judge the best and are part of this process to drive out the very people they need most, all in the name of incorrectly accessed political correctness. Today the system has driven down performance; today big institutional science has been a spoiler of great insights delaying progress everywhere. Today it is business as usual. The criminal come to the top. My greatest fear is that an end is coming to the centuries of progress that mankind has grown use to. The age of Genius may be at an end. I’m sorry to ramble on this in such a `scatter gun’ way. Chris. Good comments. I really do believe that the strictures of science (and the politics of course) mean that ideas not founded on the “material matter as reality” supposition, creates a limitation. Those seeing beyond that have little support or acknowledgement from the usual suspects. Aristotle and Ayn Rand are the top geniuses because they created observation-based, systematic knowledge of existence as a whole, ie, philosophy. This requires more IQ than mere science, which is merely about parts of existence, eg, physics, psychology. Art, while about existence as a whole, merely shows but does not explain. Aristotle _discovered_ observation-based, rational system, ie, systematic logic and scientific method, ie, the method that the listed scientists used and that the listed artists implicitly used. IQ is less important than chosen achievement. What about Nikola Tesla .. Christian Birkeland .. Blaise Pascal .. Kurt Gödel ? why the hell isn’t Darwin on here? His IQ has been widely estimated to be between 185 to 220. He will certainly make it to the top 3 of the list and perhaps one of the most influential human beings that ever lived! These are my rankings in intellectual influence to everyday life (in order). Although this is subjective, I believe what they have done is pretty extraordinary. What I read about Darwin is that he was in fact not very special. I read that in mastery from Robert Greene. But I also read some other sources that he was a very ordinary pupil. He was not very special in any big regard. So a no for him. I find Einsteins insights much deeper and fascinating than Newtons, although, Newton has a place close to Einstein as a consequence of his great impact on physics and science in general. I have never heard of Galileo in one of the top spots but Nietzsche describes Goethe as a big European, one of the greatest. And Nietzsche was way deeper than any philosopher before him. So, next to my knowledge about Goethe, I give that a lot of credit and consider Goethe to be somewhere in the top 5. Goethe DID NOT write any work titled ‘Sturm und Drang” The author of this crappy web page should read more and write less. why do u guys always forget Tesla? Try actually reading the article instead of skipping to the names/pictures. The entire intro explains exactly why they are not on the list. I hoped that Archimedes would be there. I think there is an unproven but probable fact that he knew calculus, long before the world credited Isaac Newton with the crown of laurel! He is the probable architect of the Antikythera device for calculating celestial precessions! That all involves, at the very least, an understanding and a facility for differentials. what about Charles Darwin and Albert Einstein? what about Leonard Euler or C. F. Gauss? What about L.V. Beethoven, W. A. Mozart or J.S. Bach? If you know them and understand their music, you’ll see Bach is the greatest composer by far. I agree! Gauss and Euler were awesome. Beethoven, Mozart, and Bach as well. The whole idea of “genius” is so difficult to evaluate and understand. The vast contributions of so many minds make the yardstick quite difficult to calibrate, especially throughout the years. Hmmm. Apparently some people can’t read. The article starts off by stating that Einstein would not be on the list. I agree with others that Darwin, Tesla and Beethoven should have made the list. Especially Tesla. Love how everyone is mad Einstein is not here, but so little mention of Tesla, who’s vision was brilliant. Also, this list is focused on IQ, which is not really a true or accurate measure of intellect. Look up the people with the highest IQ, and their achievements will be nothing compared to others whose intelligence has a basis in imagination and vision. Why don’t you try reading the description on top of the page? By the way, William James Sidis was the most brilliant guy in th world. He mastered over 40 languages and has done many achievements. Albert Einstein’s IQ level is 160-190. All white males…What does that say about what the IQ test is looking for? maybe because through recorded history “white males” had the most credited ideals. why? because of racism. why write a comment like this? obviously certain groups of people had more opportunity than others. it was the past, id like to think the present has learned and moved on. stop trolling. He’s not trolling. He’s pointing out that all of the great scientists from Asia and the Middle East (not to mention the Americas) have been left out in favour of white, European males, perpetuating the myth that white Europeans are in some way, intellectually superior. My definition for creativity is short and simple. Creativity is a mental process involving intellectual inventiveness and ingenuity coupled with a capacity for intellectual originality and uniqueness. And this too is a mark of Genius. Here’s my list: remember everyone is interchangeable, cause we can’t compare geniuses, they all have earned the title genius. The father of physics, who changed our world of viewing things. Although Beethoven and Bach are truly legends, and comparable to Mozart, but I choose him because of his heavenly music and the age that he started composing. The greatest inventor of all time, who can recite whole book in one read, his contributions are enormous to the society. The greatest polymath of all time. The greatest philosopher of all time. Laughable. Emanuel Swedenborg (1688-1772) was by far the greatest genius to walk our planet; but, being from Sweden, he has been overlooked. His i.q. was too high to be measured. Truly laughable! According to me they were all geniuses of the same calibre. For someone to come up with an original revolutionary idea of which none similar has ever existed.. That is pure genius! I think George Orwell and Helen Keller need to be added to this list. Orwell’s scientific and political imagination was so great it surely was fueled by an incredible genius mind. What Helen Keller did was so intellectually super human as to boggle the mind. If she had been born with sight and hearing her intellectual output would have been greater than any on this list. As it was, her mind’s abilities were so vast it transcended 3 dimensional space time reality while blind and draf to learn about the world, process that information, and communicate original thought back at the highest level humanly achievable. Beethoven’s monumental 9th symphony and his Missa Solemnis, music’s absolute pinnacle, were composed while he was deaf. That’s akin to Michelangelo painting the Sistine chapel completely blind!!!!! It was good that you mentioned Helen Keller. Good job! Ben Franklin in my opinion was also a genius. He was the most innovative “Founding Father”. All of you forgot William Sidis. He did not use his remarkable potential and joined radical movements. How can you assign a iq number to a person who died before there was such a system? Conjecture. And really they are all men, what a suprise. Artists may make us happy and provide joy. They may move people emotionally, to where they cannot understand, but that don’t make them a genius. That just means the government is trying to control your emotions. And 95% of genius are men= another of history’s big fat lies. There is no such thing as a genius, especially in terms of IQ. Not everyone was recognized and someone can have 300 IQ and might be useless, anyone can accomplish anything, a test can’t prove anything. Someone can fail school and be the one to find out how to (ex:) bend gravity. I’ve got a question that might arise as sort of a point…How would one know the IQ of half if not most of these individuals. if IQ tests started in the early 1900s? I’m just really curious if anyone knows how these specific numbers were decided upon and why. It is strange that Albert Einstein, Bertrand Russell, George Bernard Shaw, and Nicola Tesla are not mentioned. The opening paragraph communicates the authors intention. It clearly states that the list is based on other peoples studies. I understand that many great minds may have been omitted and this is a sample list that shows people who have passed on. I think labelling a person as a true genius is something that is agreed upon based on their field of expertise, contribution to humakind and changed the course of future generations. We probably need to categorise geniuses based on the period of time they lived in and how their work has influenced subsequent cutural, scientific, etc advancement. I think geniuses can only be nominated many years after their death when society has the chance to reflect on their work. At present I am sure there are many clever people living amongst us but we are not able to assess their impact on humanity at the moment. Leonardo de Vinci was not a mathematician. He had to visualize a problem or theory. Could not do math well. Plural for Genius is ‘Genii’ by the way guys. NOT ‘geniuses’. You cannot compare geniuses. They all have a specialised field. The further back you go the less was known so geniuses began the first step to climb. Geniuses cannor be compared. The further back in history the less was known about many more subjects, therefore they were able to create more firsts steps on the ladder. So much has been discovered now they are reztricted to specialised fields. I read this – and a number of Gould’s other books – many years ago and still feel that it demonstrates so much wisdom. The IQ test wasn’t invented until 1904, and to this day still debated how accurate or useful it really is. So why is all this false information about IQs being published on this site? How did you arrive at these numbers? If Einstein, who pioneered several fields of scientific study, and still hasn’t been proved wrong, presumably had a IQ of about 130, how do you tie ficticious IQs with a raking of intelligence through out history? It would be helpul and honest if you publish your answer for all to see, thank you. Yes I agree. I don’t think IQ is an accurate means of measuring someone’s intelligence.